Buyer's Opportunity coming soon! The “Jewel of Enatai” presented by BDR Fine Homes. Fresh new Dutch Colonial design situated on a large, private 28K SF lot. 5 Bedroom Suites + Den. Signature GenSuite w/ full kitchen. Covered Outdoor Room w/ heaters, fireplace, TV & BBQ. Chef’s Kitchen w/ separate Prep-Kitchen. Inviting Morning Room and large Exercise Room. Walk to new Enatai Elementary School. 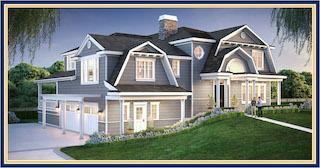 Build with the BDR Team, a proud 3-time winner of the coveted Builder of the Year Award. This luxury home is situated in the heart of Enatai, within walking distance to the newly completed award-winning Enatai Elementary School! This close-in West Bellevue location offers a quick connection to downtown Seattle via the nearby 520 bridge while downtown Bellevue is less than a 5 minute drive away. Enatai Signature Properties now showing the "Jewel of Enatai" ...Click HERE for the tour! Every neighborhood has its nuances: its "best street", "busiest street", and the like; hiring a professional with expert knowledge allows you more time to focus on what you want and is statistically proven to put more money in your pocket. An experienced Real Estate Broker can save you thousands of dollars, but who would you trust with your business? Practicing Residential Real Estate Broker since 2002, Kirsten Congdon has been trusted by buyers and sellers to meet their real estate needs. Not only does she effectively list and sell homes, she is an expert at procuring unlisted properties for buyers, particularly in the West Bellevue and the Enatai area. Though she specializes in West Bellevue and Eastside of Seattle properties, she is not limited to these boundaries with experience selling and investing throughout the state of Washington and California. As a local resident for over 40 years she provides clients with expert knowledge of the area and a keen eye for values. Client testimonials can be seen under the Client Services tab above.